I like the music in the 3D Sonic games. There, I said it. For ages while playing Sonic Adventure for the first time, I found myself singing Open Your Heart constantly. At least until Sonic and the Secret Rings, they endeared themselves to me. Yeah, I know they're the exact opposite of what Sonic music should be, they're cheesy and they are for all intents and purposes, horrible. I accept that, but for me, they're a bit of a guilty pleasure. Why do I bring this up now? Well, the term guilty pleasure could probably be used to summarize Sonic Adventure as a whole. Arguably the most polarizing of the 3D Sonic games, to many Sonic Adventure was a good first attempt at a 3D formula for a true Sonic game. To others, its the beginning of the series' downfall. Sonic ran through levels that were constantly pulling him to a stop, running turned into giant fetch-quests, shooting galleries, and lame fishing areas and with Big the Cat, Sonic started to become overflowing with lame sidekicks that no one cared about and wanted out of the picture. Its not very refined, has plenty of moments where the camera gets in the way, and most of the voice acting is a bit questionable. And yet, I still enjoyed it. If you want to see how a Sonic game can work in 3D, go play Sonic Unleashed, (preferably the Wii version; Dimps did a much better job on the level design) because that's where you'll find Sonic's true potential. Despite the fact that the game was pretty poor overall, there was a shred of brilliance in the levels where you get to play as the blue blur running through loops and speeding across courses. While they might still have been closer to the Sonic Rush philosophy of gameplay, (you spend a bit more time "pushing right to win" so to speak) they're a much better representation of what Sonic should be. Now go back to Sonic Adventure. Disregarding the levels other than Sonic, the game plays out like a traditional platformer that tries to go really fast at specific points. To an extent, that's kind of what the older 2D games were. Precision platforming with speed acting as more of a reward; not quite identical, but it was on the right track. Of course, that track was riddled with glitches, wonky camera angles, and it wasn't quite as fluent as the 2D Sonic games. But despite all that, it was a good first start, and still enjoyable. Even some of other characters, managed to find a certain niche they could exist in that used that formula in new ways. Tails had even more of an emphasis on speed, since he had to race another character to his destination, and Amy was constantly chased by one of Robotnik's robots, so she had to be constantly reacting to his movements, and quickly looking for methods of escape. While each of the modes was brought down by other problems, the basis for something potentially great was always there. 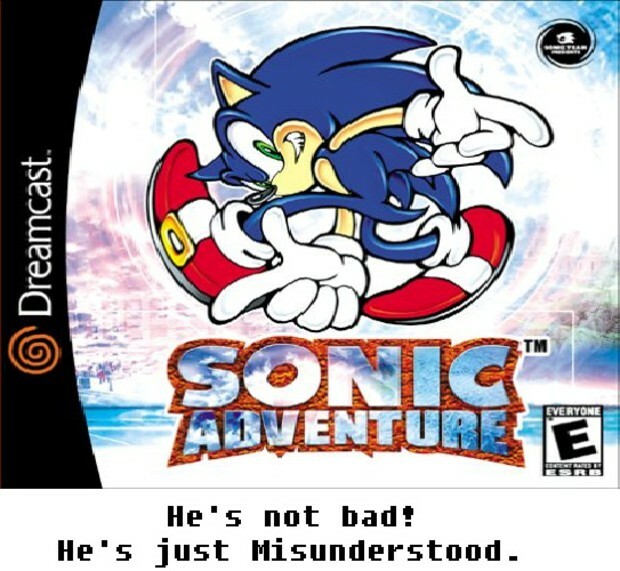 Because of that basis, I can still enjoy Sonic Adventure even after all these years. It may not have aged very well, but its still fun to play. 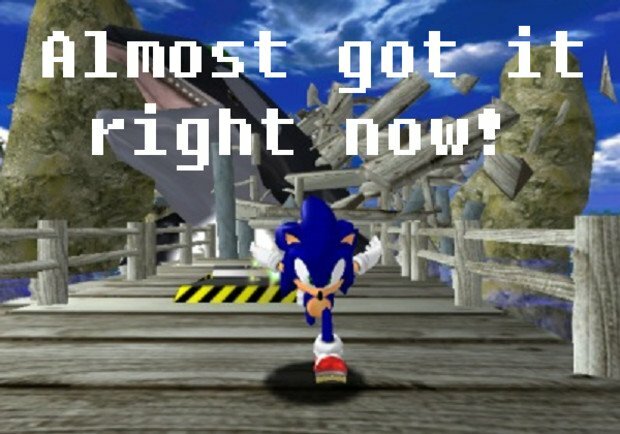 Most importantly, combined with the Daytime levels in Sonic Unleashed, it can give me that one shred of (maybe foolish) hope that we'll see a truly great Sonic 3D game one day.